Even though teachers have been back to work for a week, it is officially the last day of summer vacation for the kids. I cannot believe how quickly this summer went by. Before I know it, it will be fall and the temperatures will start getting much cooler; nights and early mornings are already pretty cool. So during the hot afternoons I have been enjoying cold shakes and “ice cream” since I know very soon I will no longer be craving these cold treats. In celebration of the last day of summer vacation, enjoy this delicious, healthy “ice cream”! This ice cream is made from a base of bananas. The original version does not include protein powder, but I addeda little bit for some extra protein and it gave the “ice cream” a great flavor. 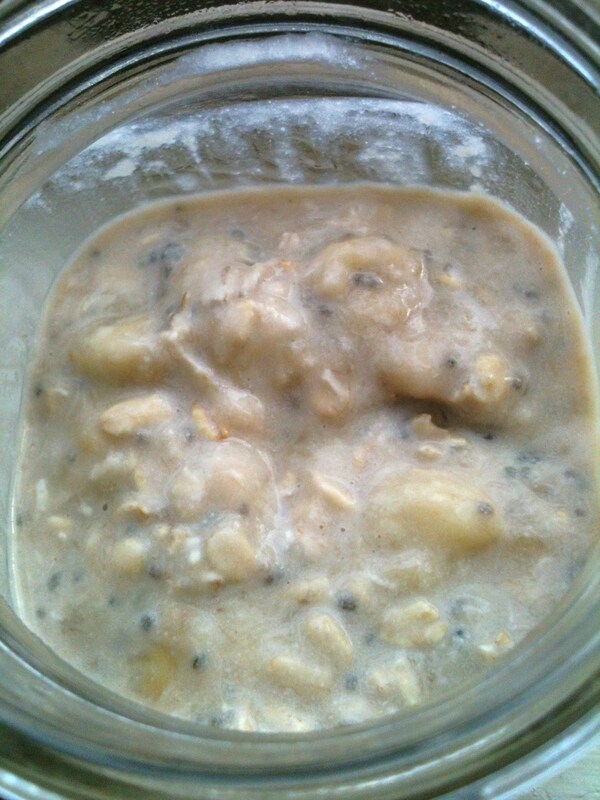 In a blender or food processor, combine bananas and almond milk. Blend until creamy. Add remaining ingredients and blend until everything is combined. 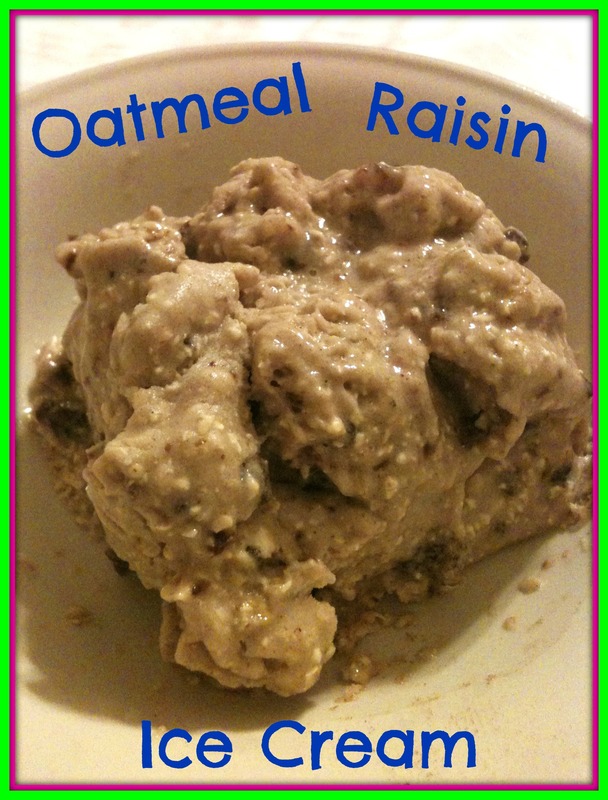 Pour in a cold bowl, top with additional raisins if desired, and enjoy! Alternatively, you could place this in the freezer for about 20-30 minutes if you want it to have more of a real, frozen ice cream texture. 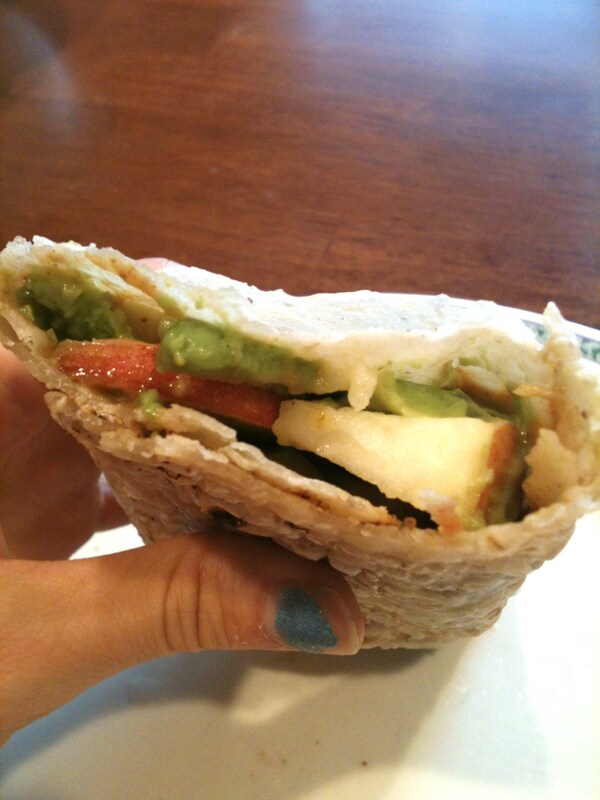 This recipe (with protein powder) yields approximately 295 calories and 10g protein. Today I wanted to highlight a recipe I made 9 months ago. Even though I try to make my recipes very convenient and easy to find, you might miss a few recipes I made a while ago if you haven’t been following me or just recently have. These black bean brownies I have made several times since the first time I tried them in November, and I keep finding that I like them more and more each time as I perfect the recipe to my liking and adjust small things. 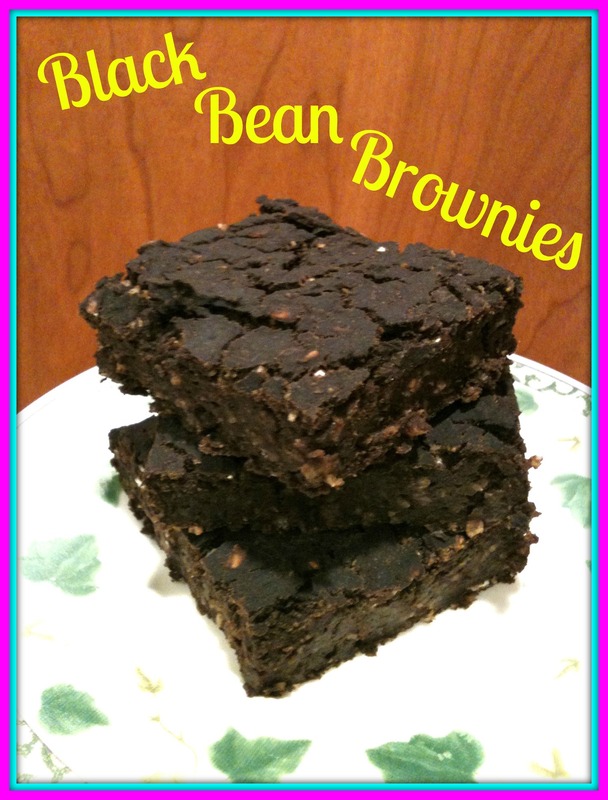 I also just updated the pictures because the old ones were dark and the brownies did not look as appetizing. I didn’t want my pictures to scare anyone off from making this delicious, healthy, no-guilt treat so hopefully now that they look better, and if you haven’t tried them before, you will! 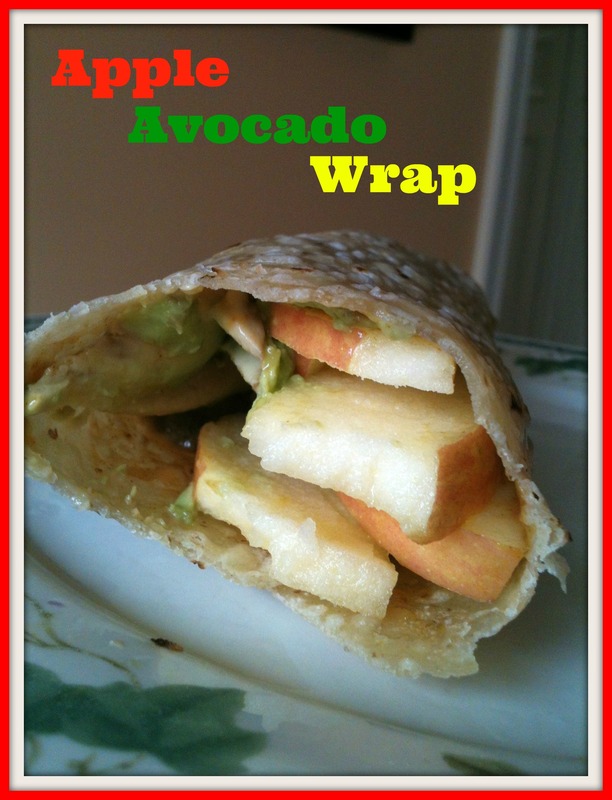 They are very simple to make – just toss everything in a blender to mix, pour into a pan, and bake! If you need a filling breakfast, this one is perfect. 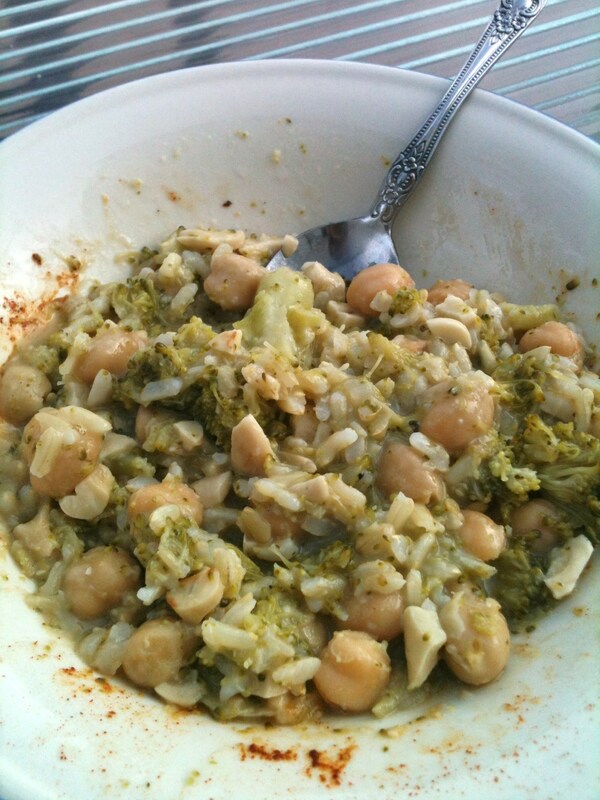 It is a complete balance of complex carbs, healthy fats, and protein. 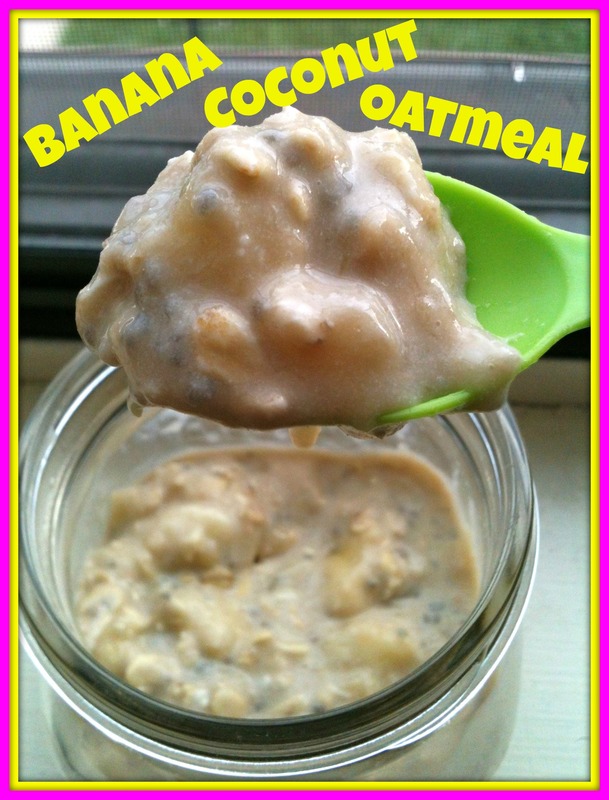 This recipe is very similar to my Banana Yogurt Oatmeal except instead of adding yogurt, I added coconut butter for a creamy and delicious taste. The coconut, banana, and vanilla protein powder all tasted so good together! In a mason jar, combine all ingredients and stir until combined. Cover with a lid and place in the refrigerator overnight. 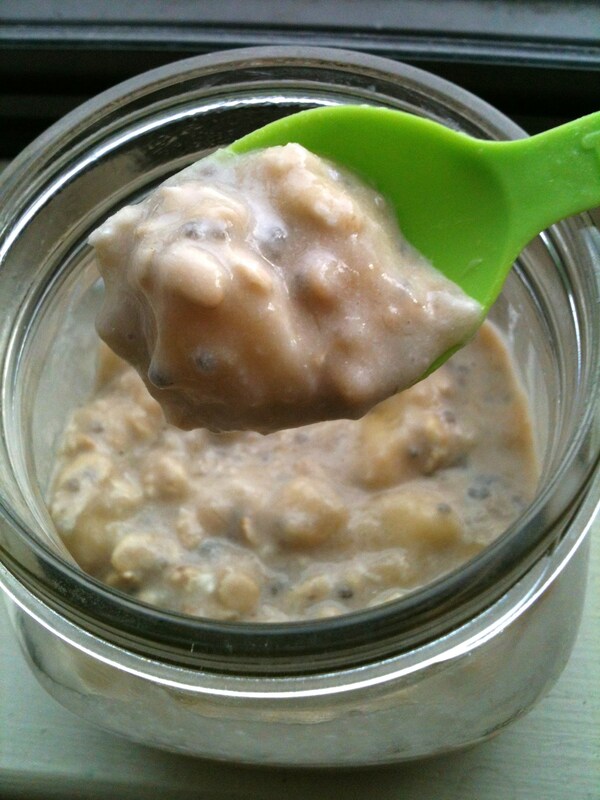 In the morning, give it another stir and enjoy cold or heat it in the microwave for about a minute and enjoy! I enjoyed this oatmeal cold, but it would be delicious warmed up as well! I mashed half the banana and sliced the other half for texture, but if you would prefer you could just mash the whole banana into your oatmeal. 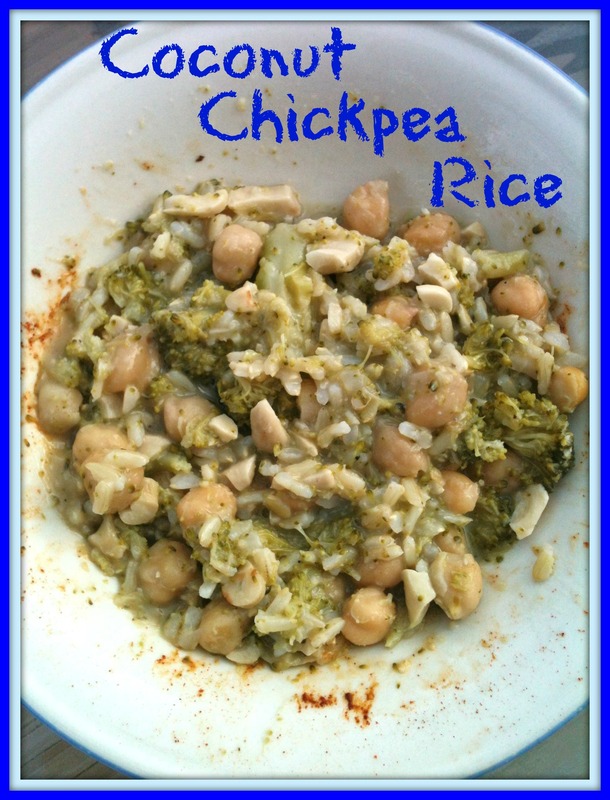 This recipe yields approximately 400 calories and 14.5g protein. When you are in the mood for a decadent breakfast, I highly recommend making these pancakes. Making pancakes are usually saved for weekends or special occasions and these peanut butter pancakes are beyond delicious! 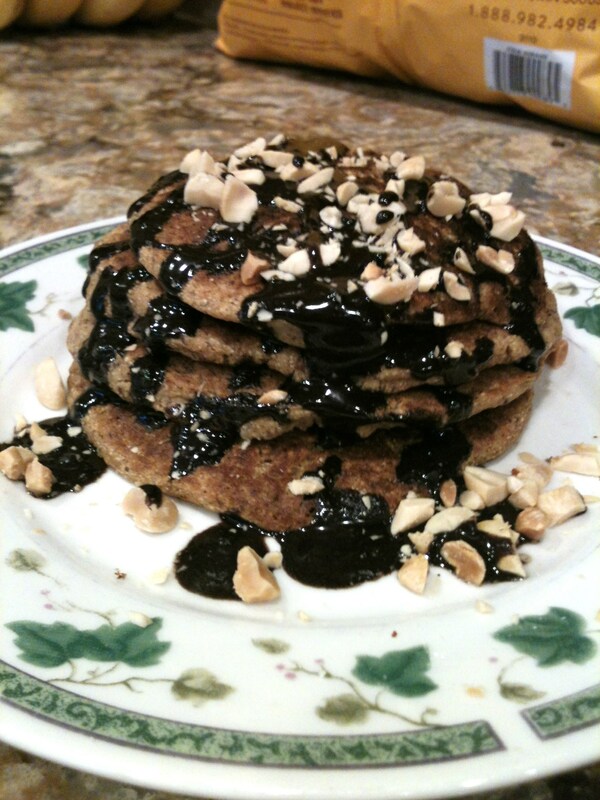 But it gets even better when you top them with a creamy, sweet chocolate maple sauce garnished with crushed peanuts! Yum! 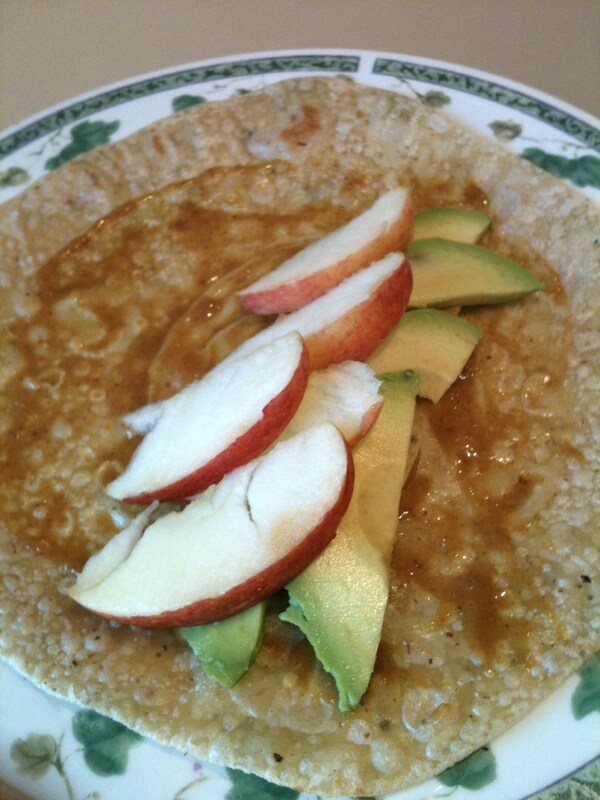 I had a huge sweet tooth this morning and found this amazing recipe online and adapted it just a little. Mix together the flours, baking powder, and salt in a medium sized bowl. 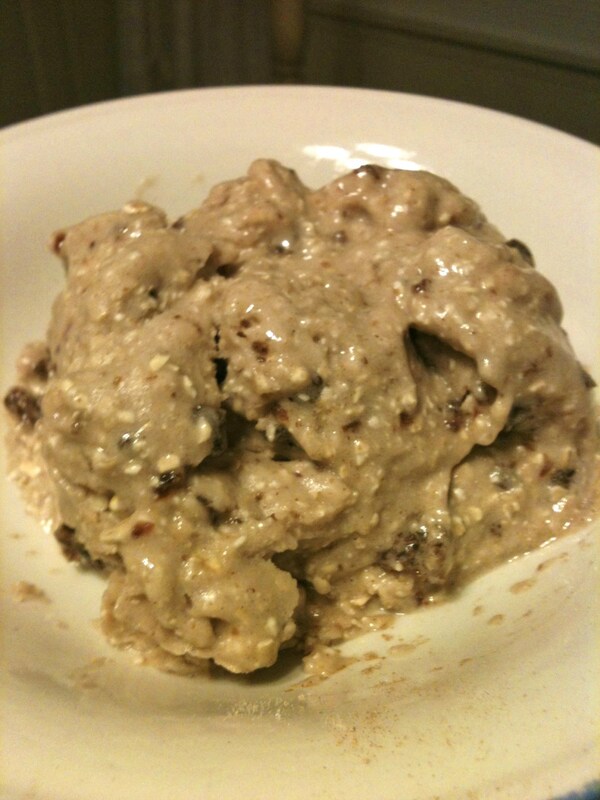 In a small bowl, mix together almond milk, vanilla, and maple syrup. 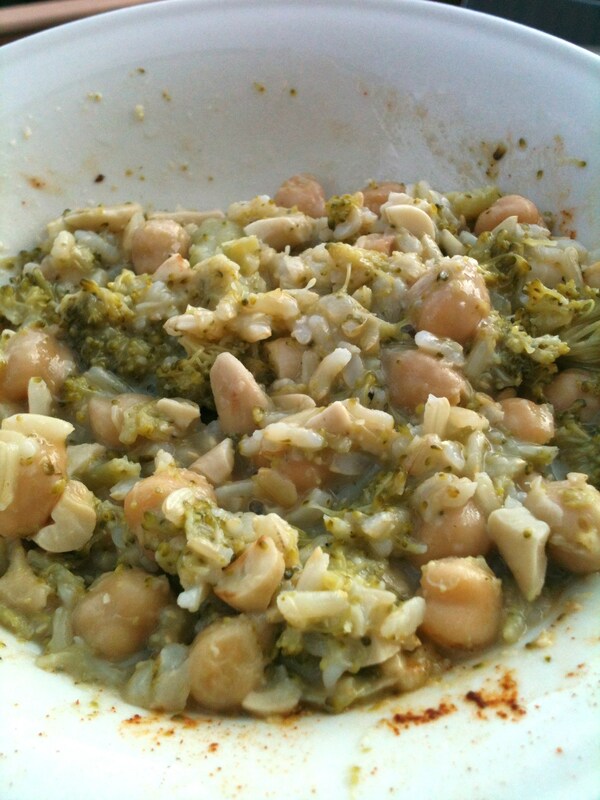 Add in the crushed peanuts and stir. 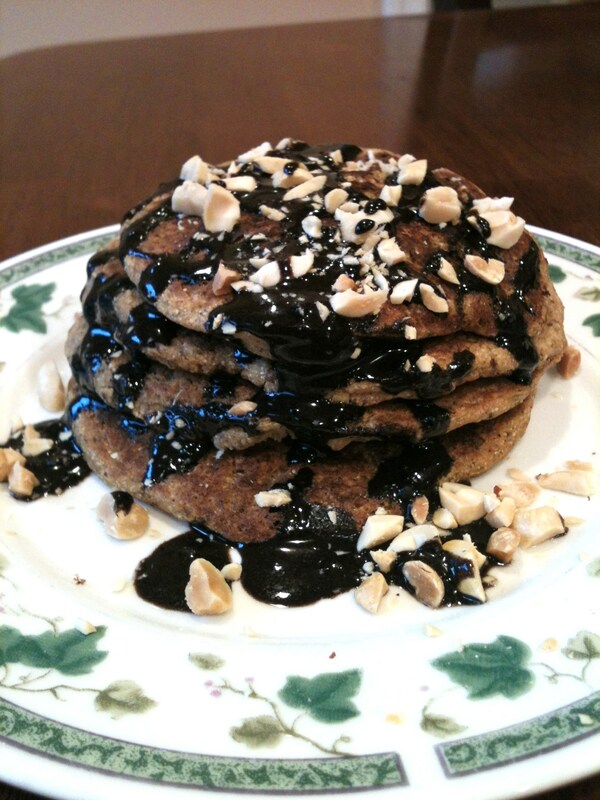 Pour the chocolate maple sauce over the pancakes and sprinkle on some crushed peanuts! I love the taste of peanut butter and chocolate, and having them first thing in the morning is a great way to start the day! And if you’re not a big chocolate lover, then you can just eat these plain with regular maple syrup. Or try adding peanut butter on top and maybe even some banana slices. 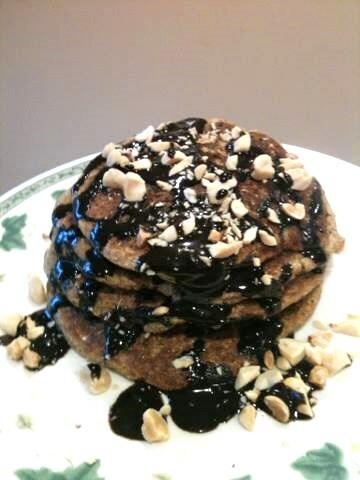 Ooh banana slices would even go great with the peanut butter pancakes and chocolate sauce too! 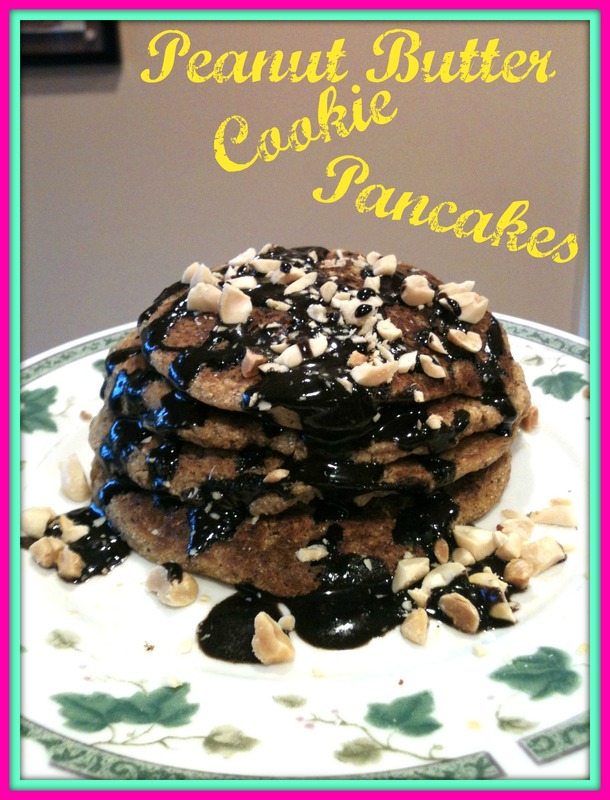 Based on just the pancakes this recipe yields approximately 380 calories and 25g protein. 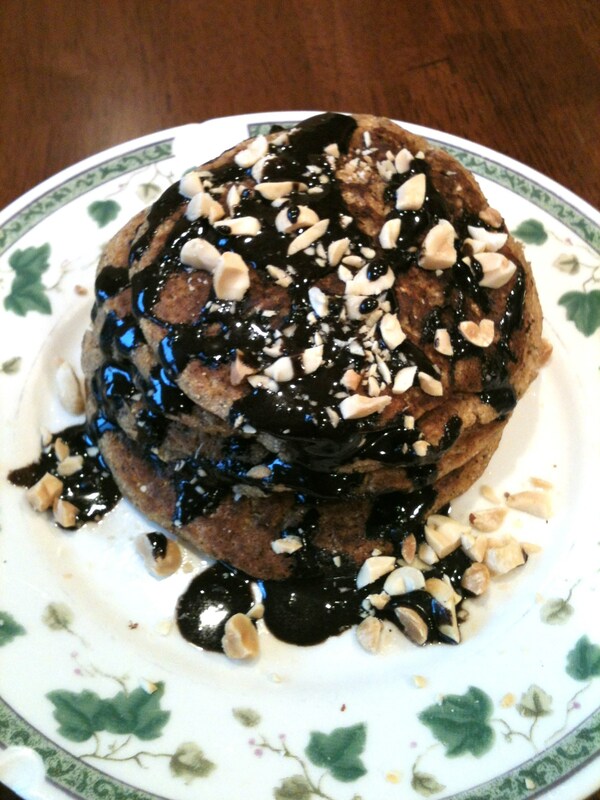 With the chocolate maple sauce this recipe yields approximately 490 calories and 26g protein.